February | 2015 | The Fantastic Flame On! This week, we’re concluding a story started by Jack Kirby and finished by Stan Lee and John Romita. Magneto has taken command of the armies of Atlantis, developed a curiously personal grudge against the Fantastic Four, and kidnapped Sue and Lady Dorma into the bargain. Can Reed and Namor save their true loves and avert war? Hello, and welcome to episode 119 of The Fantasticast. Each week, Steve Lacey and Andy Leyland guide you through every issue, guest-appearance and cameo of The Fantastic Four. We’ve done it. We’ve broken through the Jack Kirby barrier. Let the uncertain era of Lee, Romita, Thomas, Buscema, et al. begin. And begin it does, by picking up the pieces of Kirby’s Magneto/Atlantis plot and rebuilding them in the form of a fast-paced action epic. We’ve got the Master of Magnetism, an invasion of New York, the return of Agatha Harkness, the worst possible satnav directions in the Fantasticar, along with brief looks at Sub-Mariner #30 and Fantastic Four Annual #8. And not forgetting this episode’s special guest star: Richard M. Nixon! 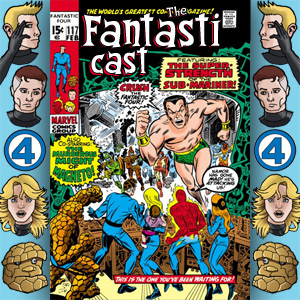 It’s a bumper-sized episode this week, as Steve and Andy tackle an unusual ‘Frankenstein’ project from 2008, when Marvel published a special issue comprising of a recreation of the original, rejected Fantastic Four #102, along with scans of the original artwork, and a reprint of Fantastic Four #108. 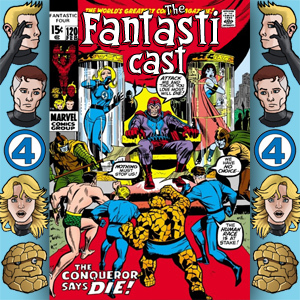 We’re covering this issue out of sequence to mark the end of one of the most notable and productive collaborations in comics history – Stan Lee and Jack Kirby’s run on The Fantastic Four. We also feature feedback from our listeners on the impact, the highs, the lows, and the surprises from this legendary run, as well as provide our own thoughts. As a little bonus, there’s also some audio of notable comics creators discussing Jack Kirby, his work and his influence. This is it. The end of an era. Fantastic Four #102, featuring the dual-menace of Magneto and the Sub-Mariner, and the final issue of the Fantastic Four pencilled by Jack Kirby. There’s a certain serendipity to releasing this episode on the 21st anniversary of his passing, although absolutely no planning went into this! 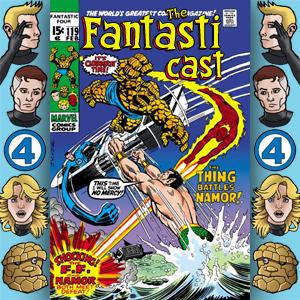 Joining us to take a look at this landmark issue of the Fantastic Four is Micheal Leyland, one half of Heykids Comics, one third of Andy’s offspring, and 100% of the people who have said ‘yes’ to appearing on the show then never turned up for the recording. We’ve finally got him, and as an added bonus, we even exposed him to an Inhumans story from Amazing Adventures #2. Hey folks, we need your help. 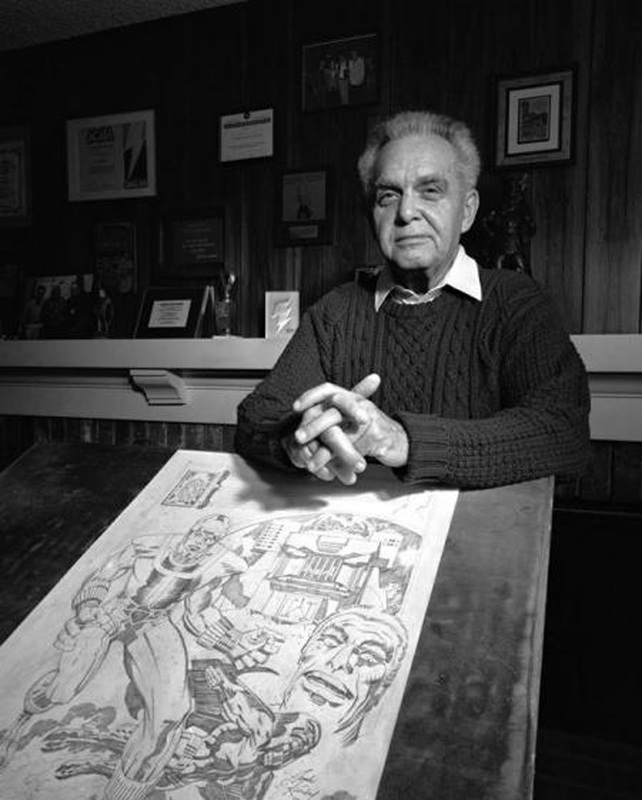 We’re fast approaching the end of Jack Kirby’s 102-issue run as penciller for The Fantastic Four, and we’re planning something a little special to commemorate the conclusion of his tenure on the book. We’ll be producing a special episode, immediately after our coverage of Fantastic Four #102. 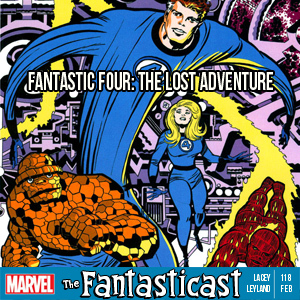 We’ll be taking a look at Fantastic Four: The Lost Adventure, and taking a look at the Lee/Kirby era as a whole. As well as our musings and ramblings, we’d like to hear from you. We’d like to know your thoughts and opinions on the Lee/Kirby era, your highlights, lowlights, surprises and favourite moments. Please e-mail these to fantastic4podcast@gmail.com. If you’re feeling brave, you could record an mp3 of your feedback for us. Due to time constraints, please keep your feedback to a couple of paragraphs or about 90 seconds of audio, to ensure that we can include as much as possible. We will be recording on Wednesday 4th February at 19:00 GMT, so you’ve got about two days or so to send your feedback in. Thanks to everyone who’s sent something already, we look forward to including all of your contributions in this special episode.